If you are like me, I have always bought the cheap hair accessories at the store. They all work the same right? Is it any wonder I can't get my hair straight like the celebs and other gorgeous people out there? So when I was given the opportunity to give one of my readers a quality flat iron, I said DEFINITELY! Keep in mind that I haven't personally tried this iron, but after reading about it, I think I need to! The Infrashine flat iron protects hair color and condition follicles with rapid infrared ray heating from ceramic heaters and ceramic heating paddles. It has an adjustable thermostat control for different hair textures. At just a measly .5lbs, it is lightweight for easy styling! Misikko is having a Mother's Day sale! 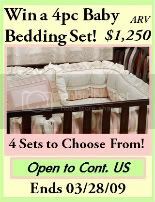 Lots of products worth checking out at great prices! Treat your favorite mom with something they probably wouldn't buy on their own! 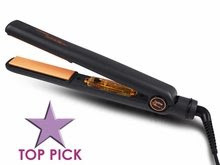 Misikko has generously offered one of my lucky readers to win their own Infrashine flat iron. Retailing at $130. Visit Misikko and tell me a different hair product that you could use. Then leave me a comment about it! Comment about another product from Misikko that interests you. Subscribe to Misikko TV, Misikko's YouTube Channel. Winner will be chosen VIA random.org on Saturday, May 9. I will email winner ONCE and winner has 48 hours to claim before I re-pull. The T3 Tourmaline Featherweight hair dryer looks and sounds really nice! My hair takes forever to dry! I agree with Jen, the T3 Tourmaline Featherweight hair dryer sounds awesome! I would love that too. I'm interested in the hair dryers! Mine is old & crappy! lol! Follow you on twitter & tweeted the give away! I would really love the Farouk CHI Rocket Hair Dryer as I have heard so many great things about it. I already follow your blog, I hope this entry counts. I like the FHI Pink Hair Dryer - Nano Weight Pro 1900, not just because its pink but I'd love to reduce my drying time by 50%! love this product "CHI Turbo Digital Ceramic Spring Curling Iron 1"
FHI Heat Hot Sauce (2 oz) is another product i like. love the bottle it's in. I would love the T3 Tourmaline Evolution Hair Dryer - Bespoke Labs Edition. I am in desperate need for a new blow dryer. Their Farouk CHI 2-in-1 Ceramic Digital Curling & Flat Iron also interests me. I love that you can curl or straiten with it. I have never owned a flat iron and my husband is the one who actually just told me to try one, lol! How fun that I find this giveaway the same week I have been researching online for one. So I of course could use this but I could also use the T3 Tourmaline Evolution Hair Dryer. 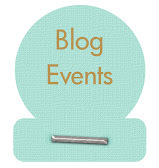 I added you to my blogroll 1. I'd love the T3 Tourmaline Evolution Hair Dryer--mine is so cheap and old it's probably killing my hair! I'd comment on the Hana ShineShield would love this product. my hair is so dull and they offer great shine. I subscribe to your blog with email subscription. Thanks for the chance to win this great prize. The Hana ShineShield interests me. I'd love to protect my hair & make it shine while using the flat iron! I'm following Misikko on Twitter. I am following you on this blog! I subscribed to Misikko TV on YouTube. I am now following you on Twiter & I retweeted! I retweeted one more time! The T3 Tourmaline Featherweight hair dryer is another hair product I could use! I subscribe to you by email! Another product that interests me is the Lip fusion beach baby bling lip plumper! With two teenage girls in the house we could use another blow dryer. I like the The T3 Tourmaline Featherweight Hair Dryer. Thanks for the review and giveaway!